Imagine a hurricane similar in magnitude to 2017’s Maria that pummels islands and small communities, stripping out power lines and wreaking havoc on residents’ lives. Only imagine this time around that the local power system withstands the storm, supplying power to communities reeling in devastation. That is one of the goals of a Cooperative Research and Development Agreement between Sandia and Emera Technologies, which is part of Emera Inc., an energy and services company headquartered in Canada. The 18-month CRADA was signed this summer. Sandia and Emera Technologies are working on microgrids, small-scale versions of interconnected electric grids that locally manage energy storage and resources, such as solar, wind and thermal systems, and which may connect to a larger host grid. One of the many advantages of microgrids is they can provide clean, independent and more resilient power generation and storage. Emera Technologies approached Sandia to work together to bring clean, community-scale direct current microgrids into the mainstream, said Sandia program manager Abraham Ellis. DC microgrids still face some technology gaps, but Sandia researchers have been studying control and stability of DC microgrids for military applications for over a decade, hoping to optimize design and performance at a lower cost, Abraham said. Working with Emera Technologies gives Sandia the ability to extend the research beyond the military. Emera Technologies also will help upgrade existing toolkits and capabilities including Sandia’s Secure Scalable Microgrid Testbed, the Distributed Energy Technologies Laboratory, the Virtual Power Plant and the Microgrid Design Toolkit, said principal investigator Jack Flicker. The SSM is a research facility housing three interconnected DC microgrids, and DETL is used for research on energy systems integration. The testbed and DETL develop technologies to solve complex electrical energy challenges, such as unpredictable changes in renewable energy sources due to variables like clouds or lack of wind. These make it difficult for a power system to operate and provide enough electricity for the demand, especially unpredictable demands. Jack said scientists are developing models for Emera and validating them at the testbeds. 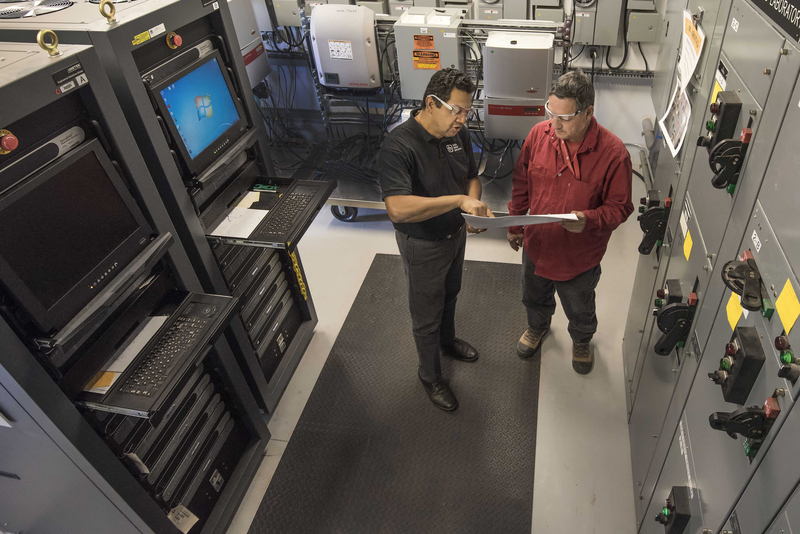 The Secure Scalable Microgrid Testbed and Distributed Energy Technologies Laboratory have been used extensively for such applications as advanced power electronics development for the Navy’s electric warships, and could be used by other companies. Sandia’s Virtual Power Plant is a software that anticipates performance by renewable energy sources and storage mechanisms and determines how to optimize operations and balance power loads. The Microgrid Design Toolkit looks at the optimal layout of a microgrid, its topology, performance, reliability and resilience. Sandia has used it to optimize microgrid design at Army bases, Jack said. “There are demonstrated vulnerabilities with the grid in the United States and elsewhere. Large scale outages that have recently impacted the electricity supply for entire islands are very good examples of the type of problems we need to prevent or mitigate for the safety and security of our country. 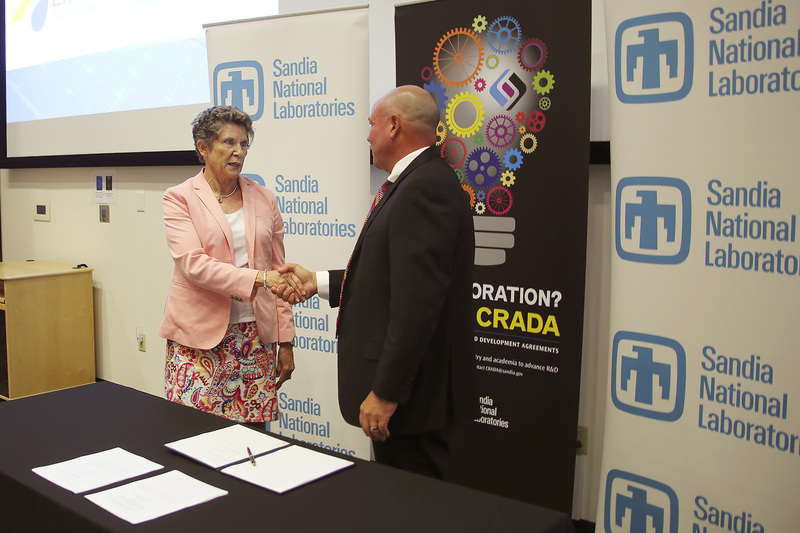 With this CRADA we’re trying to address what the future of energy is going to look like,” said Sandia program manager Amy Halloran. Emera invests in electricity generation, transmission and distribution, gas transmission and distribution, and utility services focused on low carbon energy sources. The company has investments throughout North America and in four Caribbean countries. Bennett said he envisions microgrids serving communities at the edge of interconnected grids, as well as portions of the grid being turned into microgrids. Eventually the need for central generation systems will diminish and, instead, communities will function using their own microgrids.